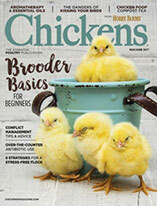 Give your coop some flair—it could make your hens healthier. I’d like to plant some plants and herbs around the run. What would y’all suggest? 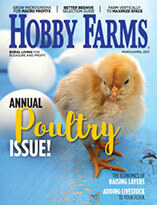 Landscaping your coop can be a great way to make your chicken keeping hobby an aesthetically pleasing part of your yard. Not only are plants and herbs around your coop nice to look at, they can also serve several purposes. The very best plants to grow around your coop and run are ones that are safe for your chickens to consume. Here are three great reasons to spruce your chicken coop landscape. Generally, pests of all kinds, from mosquitos and flies to rodents and predators, avoid aromatic fragrances and oils that irritate them. Surrounding your coop with perennials like lemon balm, peppermint, spearmint, catnip, lavender and feverfew are great for deterring any variety of pest. Annual herbs, like rosemary (perennial only in zones 8-10) and basil, also work well. Spicy fruits, like jalapeños and cayenne peppers, deter pests, and your chickens will love eating the peppers if they’re too spicy for you. Fresh and dried herbs are great for use inside the coop to help prevent lice and mite infestations throughout the year and to keep nest boxes smelling nice. Herbs, berries and edible flowers, like marigolds and nasturtiums, can all supplement a flock’s diet with their nutritive and medicinal benefits through the growing season, and they can be dried/preserved for supplementation through the winter months, too. Of course, supplements don’t replace a quality diet. Perennials that will grow larger can provide a cool place for the flock to chill out in the summer heat. A decorative shrub that does not produce berries or canes that produce safe and edible fruits will mature over time and provide enjoyable hiding places. Underneath shrubs and berry canes is also a great place to add dust-bathing materials, like a sand, peat and wood ash mix. If a plant, herb, or tree is known to be toxic to you, don’t plant it or plant it away from the coop, where chickens can’t access it. If a plant is edible for humans, research it to be sure it’s safe for your flock. When landscaping around a chicken coop, you’re essentially planting a chicken garden. If you discover that you’ve already added some toxic plants to your yard but your chickens don’t bother them, I would suggest leaving them over removing them. I have daffodils in my yard, but they’re so well-established that the chickens ignore them, even as the leaves emerge in the spring. Digging them up would attract my chickens to the area and encourage scratching and pecking through the turned soil, which could contain pieces of the bulbs if my shovel cuts into them. 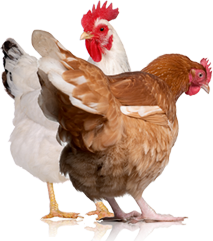 However, if the chickens are grazing a toxic plant, dig it out and throw it away. Never compost toxic plants if your chickens have access to the bin.